Are you looking for copyright free music for the next YouTube video you create? Discover instrumental and Christian royalty free music for YouTube videos. Our songs are licensed through Youtube's licensing program to give you permission to use our songs as background music to YouTube videos you create. The heart of our ministry is to be a blessing and we are open to people making use of The Secret Place music to assist them in their charitable or personal (non-profit) endeavours on YouTube. At our discretion, we reserve the right to have the video removed from YouTube if for any reason your usage of the song is inappropriate. Do I Qualify to Use Your Music? The use of our music is restricted to charitable or personal (non-profit) purposes only. The music is for use on YouTube only. Our royalty free music is licensed through the YouTube licensing program and is only granted to those using the music for a YouTube video. If you want to use the music of The Secret Place for other purposes, click here. TITLE: Include somewhere in the title: "Music by Ray Watson"
DESCRIPTION: Include somewhere in the description: "Music Copyright by Ray Watson, http://www.thesecretplace.org". If you meet the above three conditions then you may use the music of The Secret Place royalty free on your YouTube video. Browse our Youtube Audio Library for Copyright Free Music for your YouTube Videos. How do I Access the Music? To use our music in your YouTube video, you will need to have the song downloaded onto your computer. Download free Musical Manna podcasts. Download 43 songs for a donation of any amount. Purchase music at our online store. Download individual songs through iTunes for $0.99. The above links will give you access to our YouTube audio music library. Simply pay and download the mp3 file you want, or download one of the free mp3 files available, then use the mp3 song file as background music when you create your YouTube video. Looking for Background Music for YouTube Videos? Here are some of our top recommendations for copyright free music for YouTube. We have a range of both instrumental and Christian music available. Click on each album cover to listen to a preview of the song and for purchasing options. 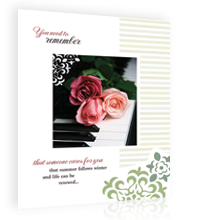 A tender touching song - perfect for tributes or eulogies. Available for $0.99 from iTunes. An easy listening background music album with soft piano and accoustic guitar. This is the instrumental version of our most popular album Seek My Face. Great instrumental album featuring piano and accoustic guitar. The song Dawn is a soft ethereal instrumental. Come Dance is an upbeat catchy instrumental song with great melody featuring flute. Rich orchestrations with soft soaking music. Prayerful, intimate worship music. The song There is Power in the Name of Jesus is a powerful gospel song. Do you have a website? / Blog / Facebook? 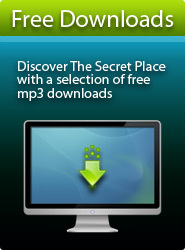 Linking to The Secret Place website is one of the ways you can help us in our mission to bless people with our music. Any web location is acceptable - for example, your official website, a personal blog, or a social media network such as Facebook or Twitter. "Thank you for this beautiful music...It is just what I'm looking for." "Thank you for this site, and the awesome music, it is so anointed and refreshing, something everyone needs these days!!!" "I wanted quality music that also provided a calmness and serenity... Your songs are amazing, and wonderfully prayerful and creative... Great words. Great melodies."